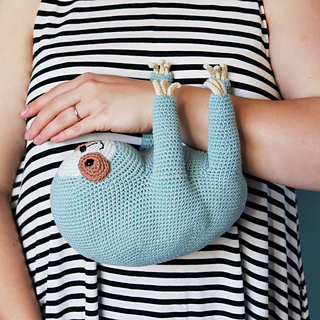 It’s so nice to hang out with Ollie the Sloth any day of the week! 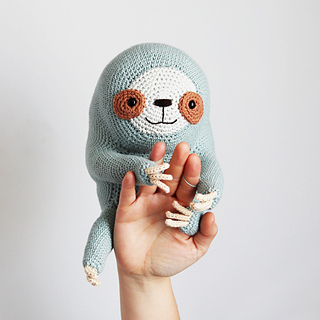 Sloths are such amazing animals, I am sure they could teach us a thing or two about slowing down and relaxing. 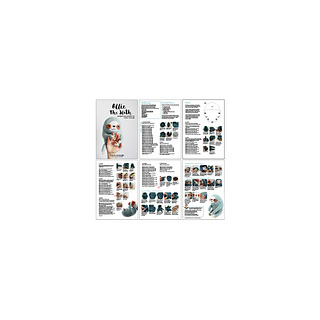 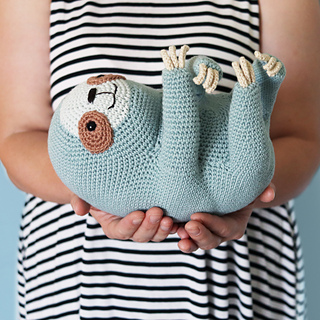 This pattern is written in US crochet terms, with step by step photos to help along the way. 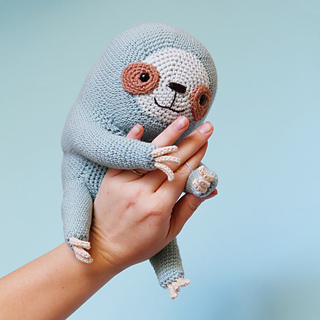 The main body, head, legs and arms are worked in a round and joined seamlessly, with tummy and face sections sewn in at the end. 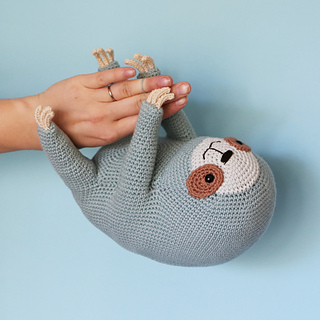 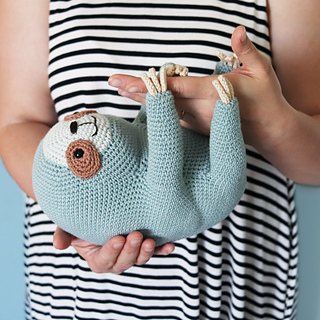 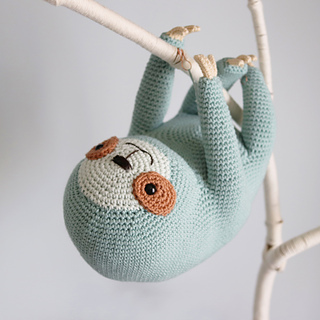 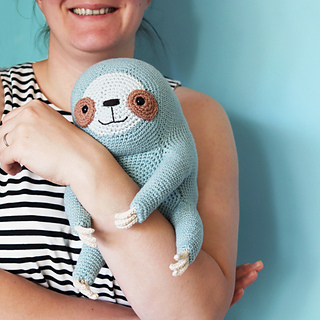 When made in Rico Baby Cottonsoft Dk and 3.5mm hook the finished Sloth is a nice cuddly toy size, about 25cm/10inches tall, with long arms to dangle from branches. 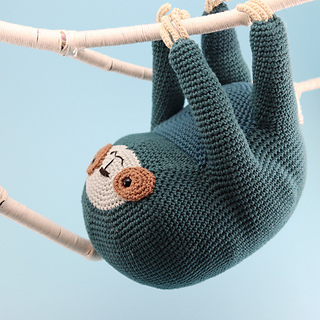 Add small yarn loops to the inside of the arms to easily pose him in different places. 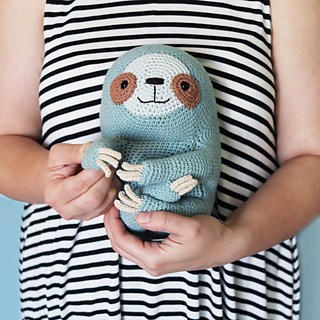 For a bigger sloth swap for a 4mm hook and thicker yarn, like Rowan Wool Cotton or Stylecraft Cotton DK.